Navident’s 2019 tradeshow schedule has been published. You can view it here. More events will be added so be sure to check back. 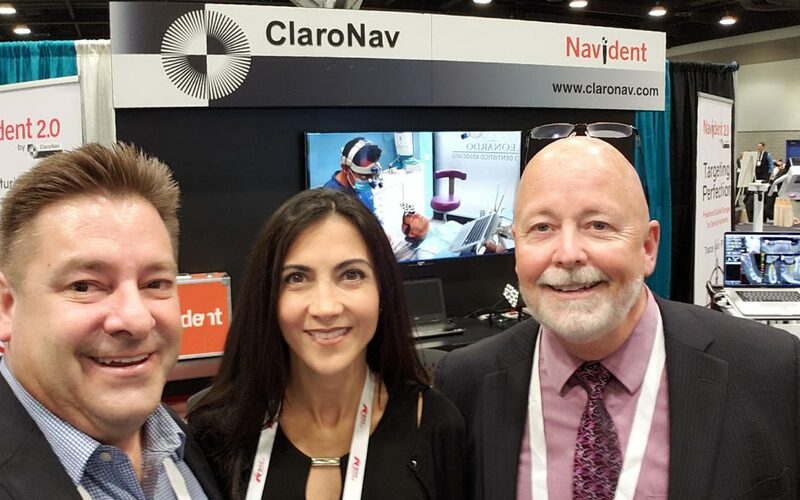 Visiting us at tradeshows is a great way to try Navident for yourself and to ask us any questions you might have about dynamic navigation, trace and place and Navident. Pictured: Mike Freeman, Dr Silvia La Rosa and Darrell Cook at the AAP Annual Meeting in 2018.